Dundee’s Own :: Great War Dundee - This is the story of the 30,490 men that left Dundee to fight in the First World War and of the people left at home. 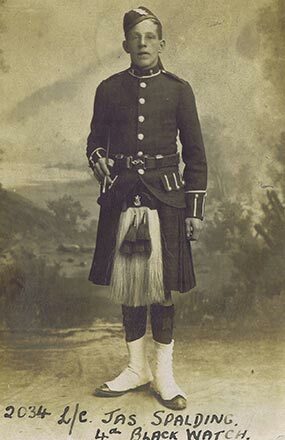 At the beginning of the First World War, Dundonian men typically joined the 4th (City of Dundee) Battalion, The Black Watch. This local territorial infantry unit was almost entirely consisted of men from the city and its immediate surrounding areas. The battalion came to be known as Dundee’s Own. 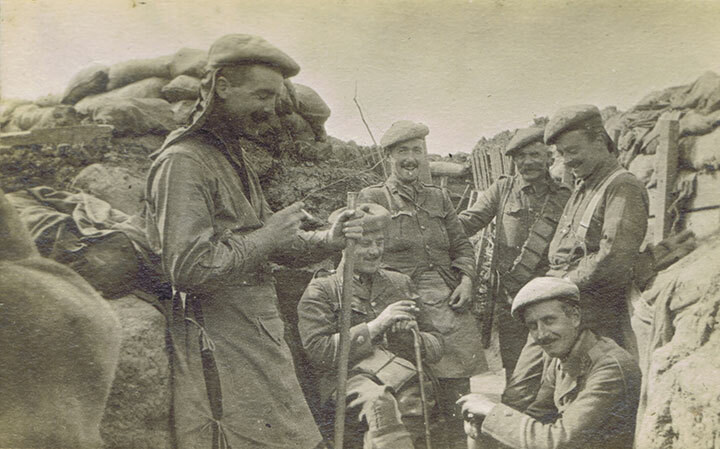 A ‘relaxed’ moment in the trench for men of the Black Watch, 1915. The officers, non-commissioned officers and men who joined represented all ranks of Dundee’s society and local industries. It even included several journalists from D. C. Thomson who wrote articles about their experiences which were published in the local newspapers. Dundee’s Own was made up of thirty officers and eight hundred and sixty men. They left for the front on 23 February 1915 and were enthusiastically cheered on by huge crowds who had come to watch them leave. The battalion disembarked at Le Havre, France, on 26 February and formed part of an Indian formation, the Bareilly Brigade, 7th Meerut Division. Dundee’s Own fought bravely at the Battle of Neuve Chapelle in March 1915 and at Aubers Ridge on 9 May 1915. They soon built up a reputation for courageous and fierce fighting. Dundee’s Own fought its last battle as an independent unit at the Battle of Loos on 25 September 1915. Over two hundred men from Dundee’s Own were killed or injured and this high number meant that the battalion could not continue as an independent unit. Dundee’s Own merged with the 5th Battalion, The Black Watch in March 1916. 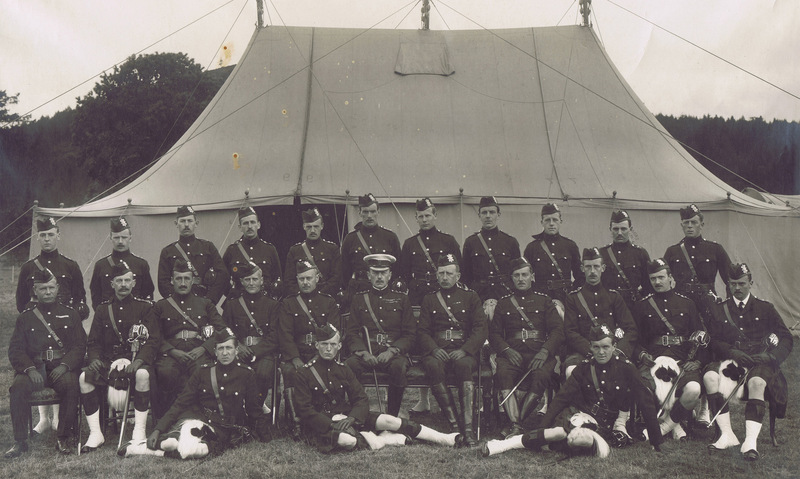 Officers of 4th Black Watch at Monzie Camp, 1914. Picture credits: A 'relaxed moment... Lance Corporal James Spalding... and Officers of 4th Black Watch... courtesy of The Black Watch Museum.